On the road in Koohrang, Chelgerd, Chaharmahal and Bakhtiari , May 2016 Traditional migration is still relevant for many nomads, especially amongst Bakhtiari, who cross the mountains on foot, with their sheep, horses and donkeys. Masume fell for the first time during a migration, and mounts her horse a good part of the way. 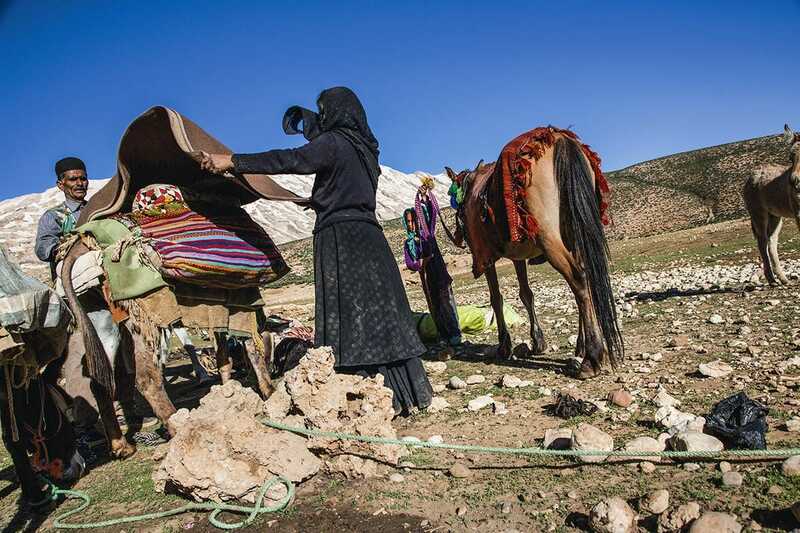 Nomads still roam the plains, valleys and mountains of Iran. 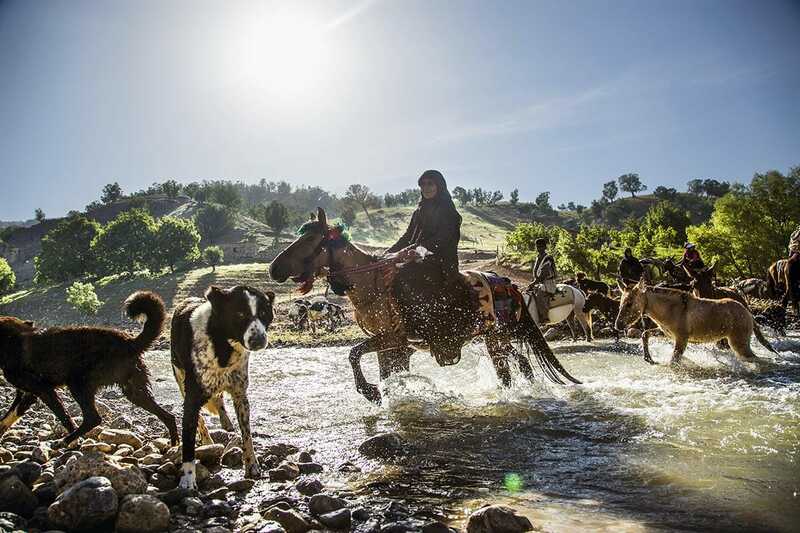 Members of the Qashqai or Bakhtiari tribes move with the seasons, seeking green pastures and water for their herds of goats and sheep. French photographer Catalina Martin-Chico went to meet them last spring. She documented the lives of those still on the move and of those who’ve either been forced or decided to settle down. 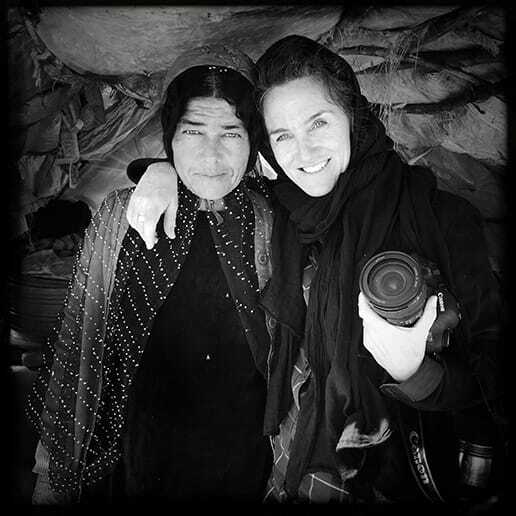 Here, along with testimonials from Mohammed Hosseini, a Bakhtiari nomad, and a descendant of the Qashqai Khan, she speaks the many nuances of their existence. The work is exhibited at Visa pour l’Image, in Perpignan, France, from August 27 to September 11. “I don’t really do news photography, but I’m interested in what makes History, including what is at risk of disappearing, like the nomads in Iran. They once played a very important role in the country. Less than a century ago, they represented nearly 50% of the Iranian population. They took part in drafting the 1906 constitution and defended the State’s borders during the Second World War. Yet despite their former glory and power, they are now merely a million and a half while Iran has just over 77 million inhabitants. I first went there in February to scout. So little has been published on them since the 70’s, that I even wondered if they still existed. I spent ten days in Tehran, trying to figure out where I could meet them. Anthropologists, sociologists, and ethnologists showed me on a very detailed map, the places frequented by Qashqai or Bakhtiari, the two great nomadic tribes. 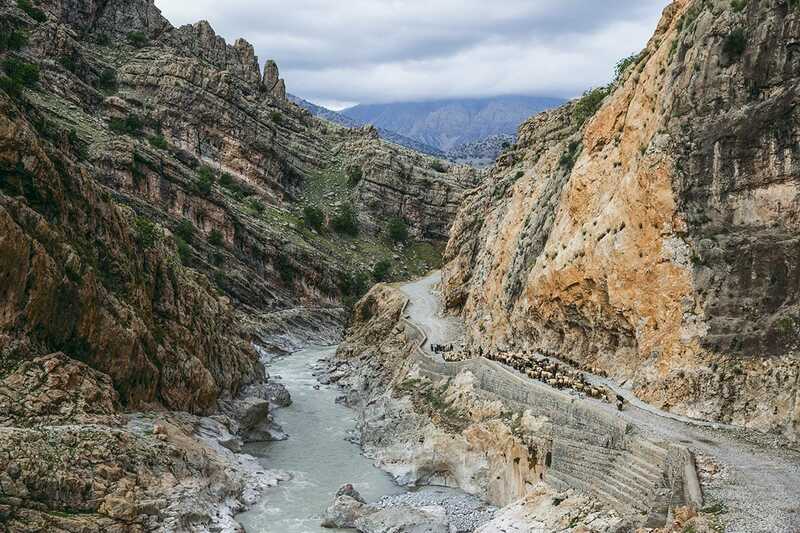 On the road of Baba Ahmad Shrin, Lali, Khuzestan, April 2016 Sheep on the bi-annual migration route, in the mountains fo Khuzestan. Arpanah, near Lali, Khuzestan, May 2016 The nomads are not only shepherds, but also, sometimes, farmers. They essentially have wheat fields. As soon as the wheat turns gold, the harvest can begin, followed by the migration. Nomads keep the wheat for next winter. The women of the Faraji family load the cut wheat to transport it to the shelter. On the road of Koohrang, Chelgerd, Chaharmahal and Bakhtiari , May 2016 Masume’s family towards the end of their migration. They have one day on the road left until they get to their summer camp. Every morning and evening they pack and unpack. Donkeys are the “carriers” and they stock their belongings in a very precise order. 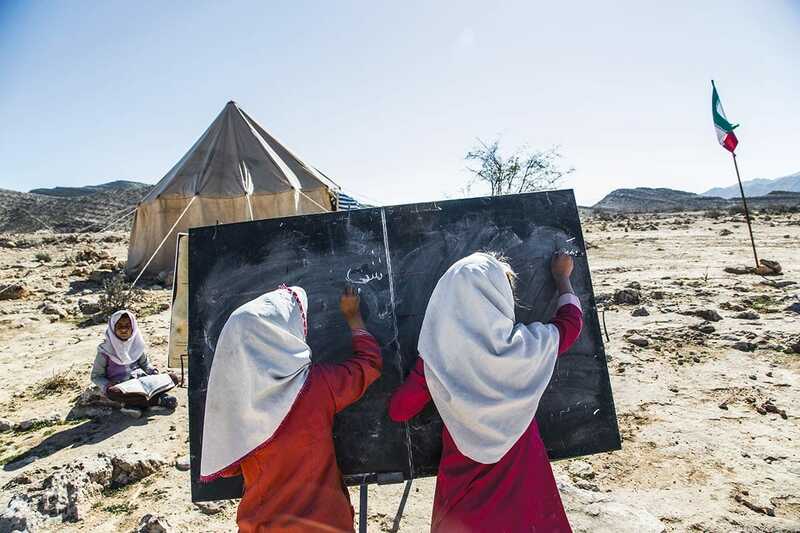 Mostafa Reihani school in Gode Kolkhongi near Qir, south of Shiraz, February 2016. Nomadic children can go to mountain primary school, 6 months per year instead of the usual 9, because of migration. If they want to continue their education, they must leave the mountains for the city. It happens more and more frequently, reducing the number of nomads. On a road in Baba Ruzbahan Shrin, Hatti, near Lali, Khuzestan. February 2016. 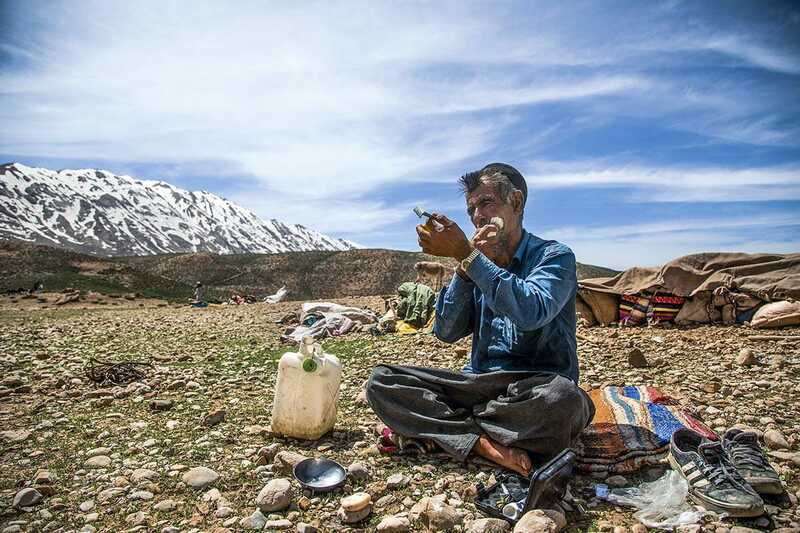 Amidst the Zagros mountains, west of Isfahan, the Bakhtiari nomads find their “piece of mountain” that will be their refuge during the winter, from October to April. Sometimes, it’s the same spot year after. I went back in April to follow the nomads’ migration and explore different facets of their story. Given that much of the information I had was dated, I was in for a surprise. I met people that were not as traditional as I expected. They have cellphones, move around using pick-ups rather than horses, no longer keep camels, etc. The government initially forced them to settle down; but now, it has more to do with modernization. For example, young people wishing to pursue their education beyond primary school must settle near a city. Few go back to the field afterwards. Climate change also has an impact. It’s now more difficult to find water or green pastures. When I approach a new topic, I try to do it without prejudices because everyone I meet has a different experience or opinion. It’s hard to generalize. Some nomads suffer from the constant motion –and I hope that their wish to settle will materialize. Others are really proud of their way of life -so, in this case, I hope that they can continue to live according to their traditions. Amongst those who have settled down, some have a comfortable life, while others feel lost, torn between the two worlds, are unhappy and fall into a cycle of drugs and depression. 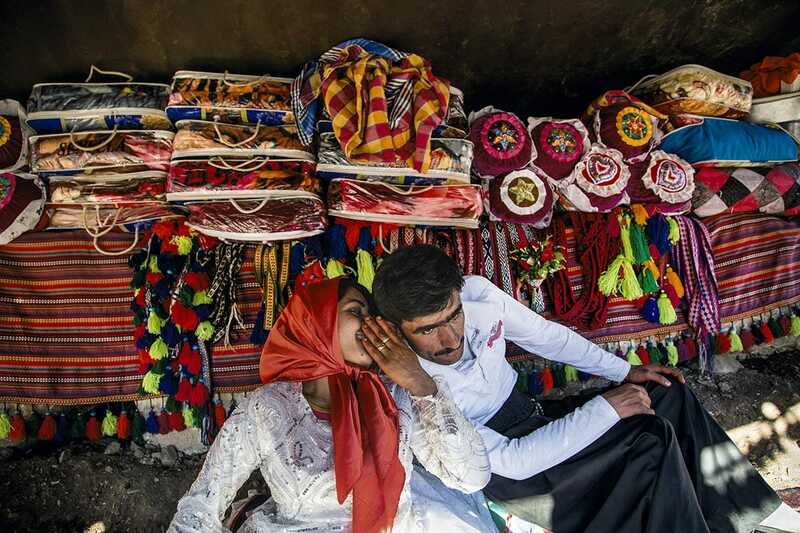 “Originally from Central Asia, the Qashqai have been living in Iran for almost 1,000 years. 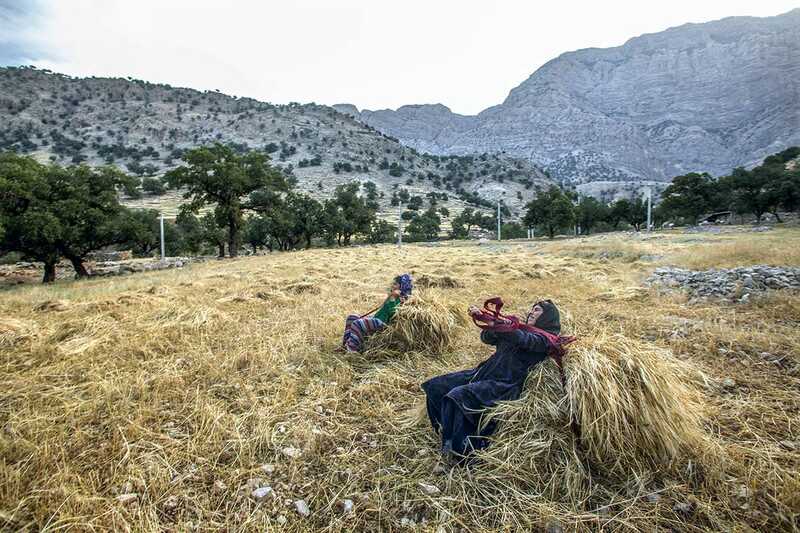 It is a confederation of six tribes: Kashkouli, Farsimadan, Dareh Shouri, Amaleh and Boulouki Cheh, who spend the summer in the plains of the Zagros Mountains, near Isfahan. 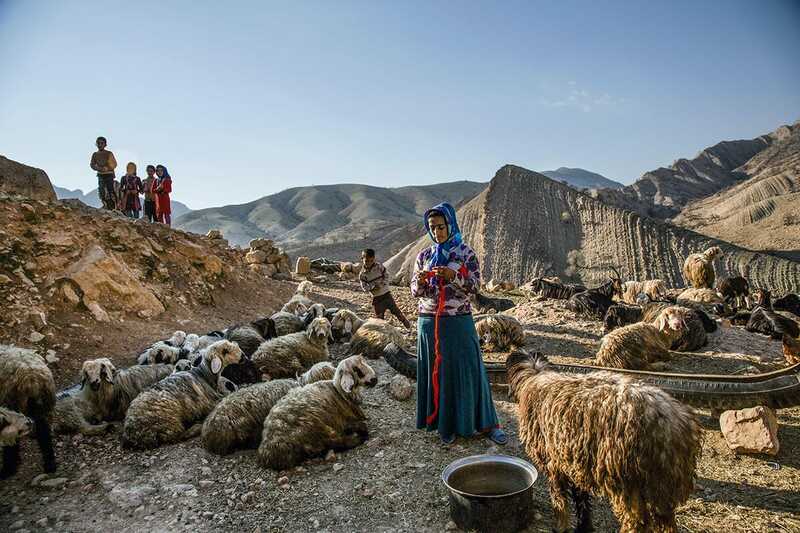 During wintertime, they lead their sheep and goats south of Shiraz, near the Persian Gulf. “Our migration is weather and pasture driven. For instance, during fall and winter, we move towards warmer regions such as Kohne Ab, Lali, and Khouzestan. We travel either by horse or by car. This year, my family had to use the latter to make it to Bazoft because some of the sheep were sick. In winter, we wake up around 7 o’clock, 6 in summer. After collecting wood for the fire and having breakfast, the men tend to the herd while women milk the sheep to make cheese. They also make lunch. The men come back around noon, eat and milk the sheep before going back to the pasture. They return in the evening, help the women with milking the sheep (again) and have dinner with the family. One person is responsible for watching the herd overnight to keep them safe from thieves. We make yogurt, curds and other dairy products with the collected milk Also, we use goat’s hair to weave carpets, ropes, tents and Choogha, our traditional clothes. Arpanah, Lali, Khuzestan, February 2016 Susan and Khodamorad just got married. They are in a tent decorated for the occasion and furnished with all their gifts: mattresses, blankets and pillows, their unique furniture. 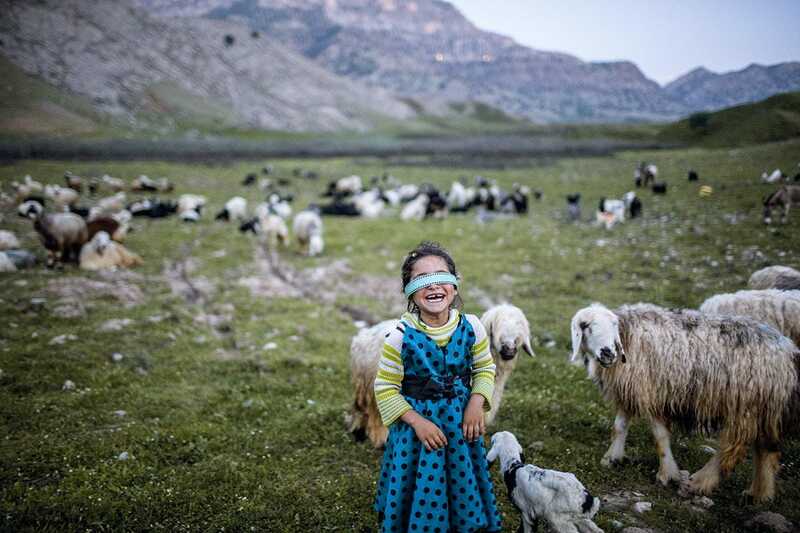 Shirin Bahar near Lali, Khuzestan, April 2016 During the 20 days that the migration takes, the small Mahsan and her family spend each night in a different place, in increasingly green pastures. 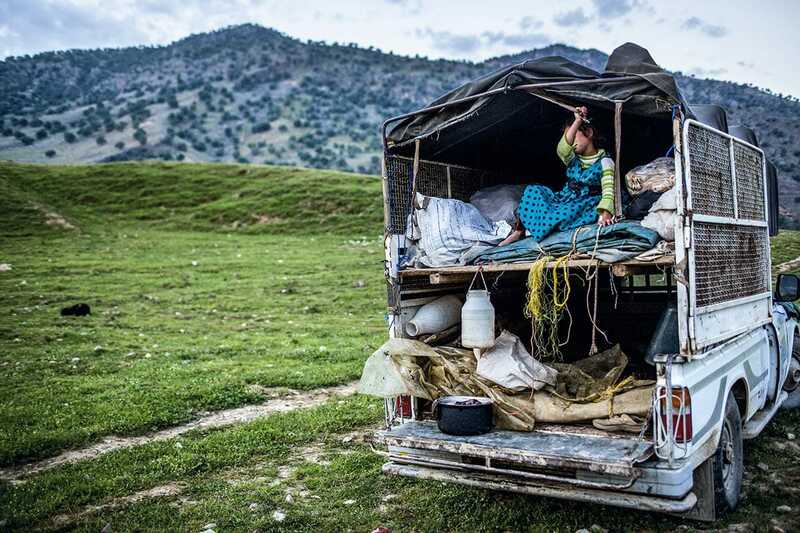 Shirin Bahar near Lali, Khuzsestan, April 2016 When migration is assisted by a car, women can sleep in the back of the truck, with the lambs, while men sleep on the ground by the fire. On the road, May 2016 Gholam takes advantage of a lull between two daily tasks on a day of migration to shave. 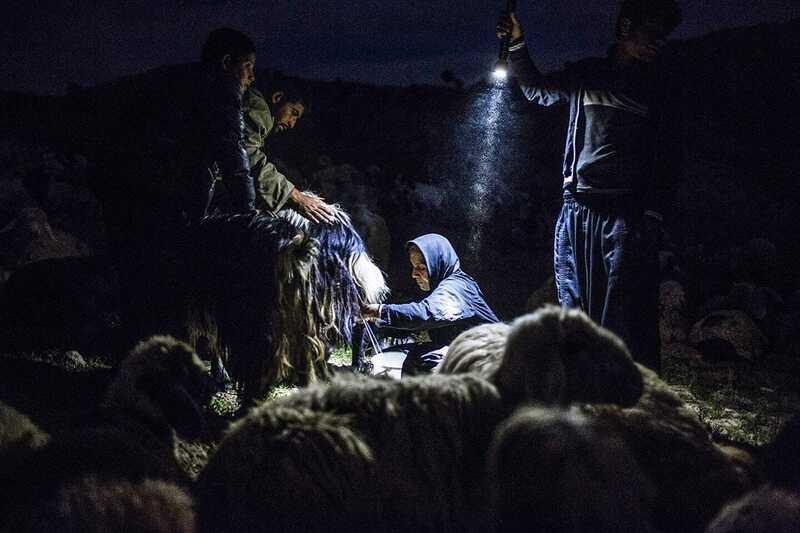 Shirin Bahar near Lali, Khuzestan, April 2016 During migration, Sanbar milks the sheep in the middle of the night to prepare cheese and fermented milk for the next day’s meal. 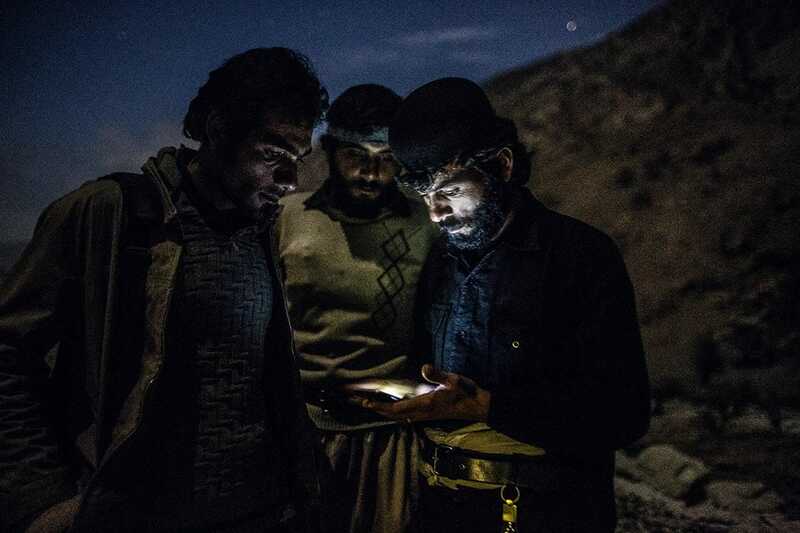 Kohne ab Arpanah near Lali, Khuzestan, February 2016 Mohammed Hussein and two of his brothers had to walk 20 minutes from their camp in the mountains to find a connection. It’s a great way of life, with clean air, a healthy lifestyle and peace of mind. We’re self-sustaining, so politics and sanctions don’t affect us. Still, access to medical services is an ongoing problem. If we get sick, we have to go very far to find a doctor. One of my friends had appendicitis and we couldn’t get to the doctor on time. He died on the way. Thankfully, nowadays, having cars and mobile phones enable us to get help faster. We’re also vulnerable to natural disasters like floods, earthquakes and landslides. Sometimes, you have to decide between your life and that of your herd. Catalina Martin-Chico is a Franco-Spanish photographer. She produced photo essays in Yemen for 8 years while also working on French social subjects and partly covering the Arab Spring. 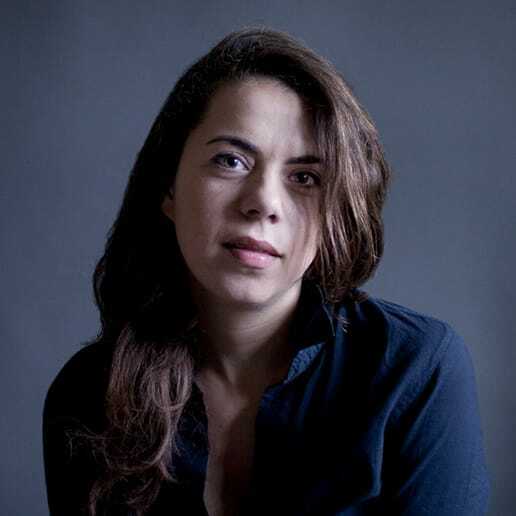 In 2011, she was awarded the Visa d'Or ICRC Humanitarian for her work on the Yemeni revolution and in 2013 she obtained a St-Brieuc grant to report on the paradoxes of the island of Saint Martin (exhibited at the 2014 Zoom Photo Festival). Catalina Martin-Chico is represented by the Cosmos Agency.